Back in 2005, Bob Clarke had a vision to see more ethnic minorities working in TV production. To get things off the ground Bob advertised for young people just like him who would be interested in creating TV programming. Using his own money he funded the production of two episodes of a programme called 'Whats Up' and from this the MAMA Youth Project was born. In 2007 the project became a registered charity and to this day Bob remains as CEO. 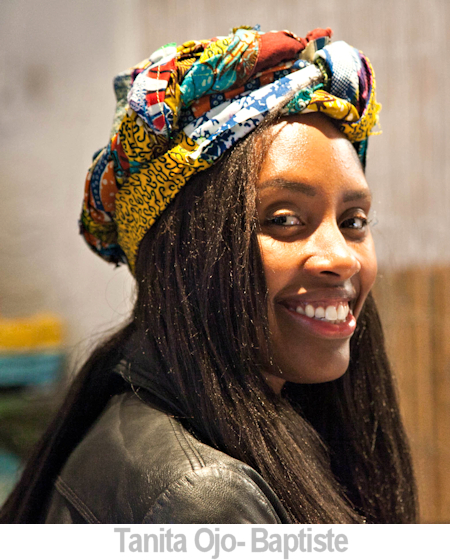 One of those first young people to sign up was Tanita Ojo- Baptiste who completed the MAMA Project training and used this as a launch pad to a successsful media career. In our article Tanita gives us an insight into the ethos of the project and how it looks to give solid industry-based experience to students who might not normally have such an opportunity. With thanks to Maya Francis of the MAMA Youth Project who also contributed to this article. Tanita, tell us about your career. I completed the MAMA Youth Project training back in 2005 and shortly after I completed my degree in Set Design. I then started working in entry level positions in Art Departments for Theatre productions, period dramas and commercials. Following my dream I worked on many music videos assisting and finally after years I got the opportunity to art direct videos that appeared on MTV. Later in life I became a studio set dresser and art director for product promos. Taking a drastic turn, I moved into more production logistical roles and worked as a production Coordinator and scheduler and then back into promo production. I currently am the producer of What’s Up TV which is an Arts & Culture show that airs on Sky 1 plus I am the senior production trainer for MAMA Youth Project. I train and mentor young adults in all aspects of television production, in this position I can give guidance in a path I ventured through myself. What is the aim of the MAMA Youth Project? MAMA Youth Project (MYP) aims to equip young people from 18-25 years of age with the skills and experience to secure long-term, fulfilling employment in the TV and media industry. We particularly focus on young people from underrepresented groups and those with limited educational or employment opportunities, including unemployed graduates. We are committed to getting young people into employment and to bringing diversity to the media industry. I was one of MAMA Youth Project’s first trainees back in 2005 where I and the rest of the team came up with the first ideas for the show What’s Up, which was then called What’s Up London. I co-produced two episodes of What’s Up TV and mentored young adults. In addition, I produced a Sky documentary called “Project Green Sky” for MAMA Youth Project, the documentary highlighted the need for youth to be aware of their environment and the importance of valuing their neighbourhood/surrounding with the emphasis on waste and street litter; and the benefit of recycling everyday waste. I completed my BA in Set Design at Wimbledon School of Art. I then went on to working in the Art Department for many commercials and theatrical performance companies, during this time I had worked as Art Director on various Music Videos and short films. I then spent over four years working for QVC (the international largest shopping channel) in Set Dressing and Production Coordination for live and non-live shows. During this time I art directed a number of fashion and lifestyle photographic shoots and editorial promos. I have remained in close contact with MYP since 2005 attending their launch parties, award ceremonies and directing a number of items on What’s Up TV gaining credits on Pick TV & Sky 1. Now that I have returned to MAMA Youth Project as a full time Senior Production Trainer & producer of What’s Up TV, I can lend my creative experience to the trainees and give guidance in a path that I ventured through myself. What is the criteria for acceptance on to the course? Passion, determination and a drive to want to be in the industry. You don’t need any experience either. The training is full time and for 18-25 year-olds. Applicants must not be in full time education or employment. They must have been living in the UK for a minimum of a year and have the right to work in the UK. It is primarily aimed at young people from under-represented backgrounds and those with limited educational or employment opportunities, including unemployed graduates. What other qualities do you look for in your students? We also look for a want and need for a young person to want to commit and change their life around. Some of the young people may have no experience what so ever, but we can see the potential in a young person and know if this is something they are ready to put 110% in. From ex-offenders to graduates, if you have what it takes and really want to be in this industry, then there's a place for you! The training takes place at Sky Osterley Campus. Training used to be at our offices in Park Royal, until the owner decided to sell up. Sky had pulled through last minute to give us a space for the training to continue. The new home is fantastic and we feel super lucky to be here, as we are still a charity and continue to need the help and funding now more than ever. 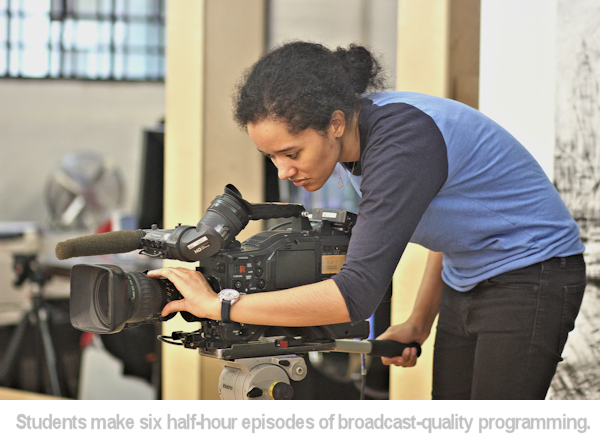 What broadcast roles can students study? There are 6 different roles to choose from. We take on 14 trainee researchers, 1 production manager, 2 production coordinators, 2 camera and lighting operators, 2 location sound recordists and 3 video editors. What do they learn about the job? They learn about their job by doing the job. 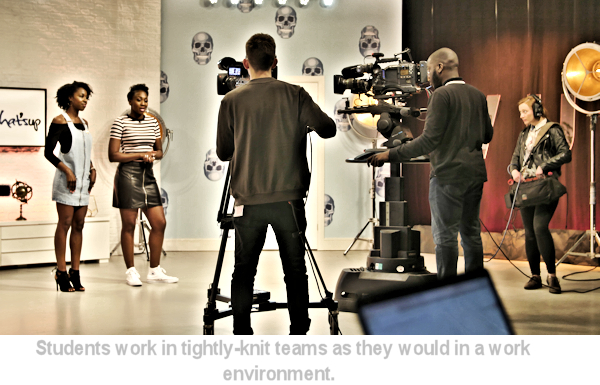 A unique aspect of our training model is that it puts participants into a 'real-time' work situation during which they work in a tightly-knit team to produce 6 half hour episodes of a broadcast-quality magazine TV show called ‘What’s Up TV’, which is aired on Sky 1. Find out more about the show on www.whatsuptv.co.uk. Throughout the training they will train and work within their chosen role. We don’t require experience, as participants are thrown into the deep end under strict supervision. All we ask is that the person is completely dedicated and committed throughout the training programme! How long do they study? The duration of the training is 14 weeks of intensive hands-on training with 6 months of follow-up career support. Why is it important students from under-represented groups get an opportunity to work in the media? Around 6% of people working in the media industry as a whole are from ethnic minorities as opposed to 14% in the UK population as a whole. 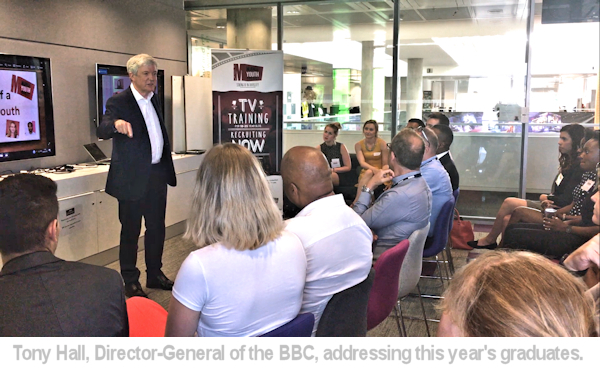 The British journalism industry was found to be 94% white and 55% male, with almost all ethnic groups significantly under-represented, according to a survey carried out by City University London. It is important for underrepresented young people to be in the industry because this reflects modern Britain and the rich diversity of our society, both onscreen and behind the cameras. This also includes young people from white working-class backgrounds as they too, like young people from BAME backgrounds are under-represented. We also take on ex-offenders, unemployed young people and undergraduates. How does this course differ to a more formal university or college education? In contrast to the university experience, the MAMA Youth Project is an independent programme that provides training to a professional level who have had less access to opportunities. Because participants are thrown into the deep end, once they have finished the 14 weeks they are work ready and already know a great deal more because they have already been doing the job to a broadcast standard. 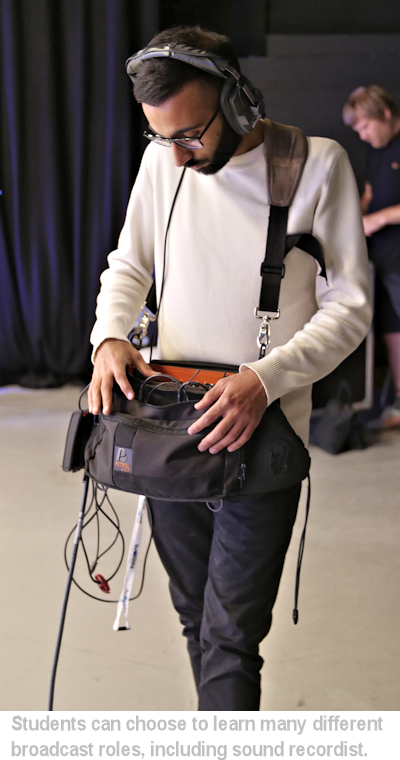 Once trainees have finished, they are then recommended by staff to go on to work placements at one of our sponsoring organisations such as Sky, BBC, Endemol Shine UK or Procam. Everyone starts off as a runner or at entry level as this gives them the chance to network and gain as many contacts as possible to carry with them throughout their career. Where do students typically find work when they leave? Trainees may be kept on by the companies that they had their placements with. However, trainees can also end up going to many different production companies doing a vast range of roles. With our 6 months of support once they have finished, we get a number of job roles from production companies asking for alumni to start roles with them, we then post the job roles to all our alumni and offer the work. How important is it for MAMA youth project to have the backing of major broadcasters like the BBC and Sky? The relationship with all our partners is equally valued and imperative to the running of the charity. It is a testament to all MAMA Youth Project's industry partners, who may be competitors in other areas, on how they work together towards improving representation in the broadcast media industry by giving young people the opportunity to train and kick start a career in TV. By having the support from our partners also shows they we are to be taken seriously and also opens doors for the young people to apply in the first place. It is important to note that we still need as much support as ever to carry on delivering the good work that we do and we can’t thank our supporters enough for believing in us and the young people that we train. Tell us about some of the students’ success stories. MAMA Youth Alumni, Lyle Ashun who graduated from us in 2015 was announced on the BBC’s New Hot Talent List 2017. Chitsidzo Kurangwa, who graduated from us in 2013 was a finalist in Edinburgh International Television Festival Ones to Watch 2017 talent scheme. Alongside this many of our alumni have gone on to turn their lives around for the better by striving to be in an industry that is hard to get into. With some alumni once being registered with the job center, being an ex-offender or undergraduate, many have gone on to be successful in the industry in many different ways. Their success is what keeps us going and shows to us that what we are doing is needed. How can students join the programme? We recruit for the What’s Up TV training twice a year. All they have to do is keep their eyes peeled on our social media such as twitter and facebook as well as our website to be kept up to date with when applications open. We will open for applications this year on November 10th 2017 for a March 2018 start. All information can be found on our website at www.mamayouthproject.org.uk. All images © MAMA Youth Project and used with permission.